Today we change the way you can communicate with people who use Workspace 365. More-and-more enterprises adopt Workspace 365 for their organisation as there is a growing need to improve the delivery of applications and communication to the workforce. That is why we are excited to announce the announcement centre! Do you have ideas for Workspace 365? 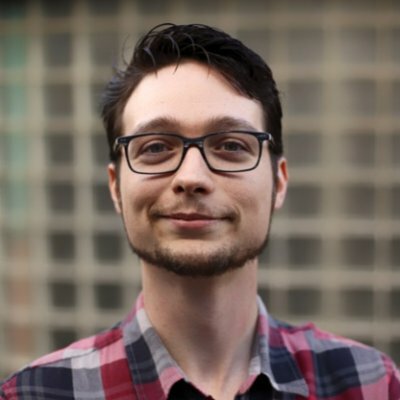 Vote or submit a feature request! What can I do with the Announcement Centre? 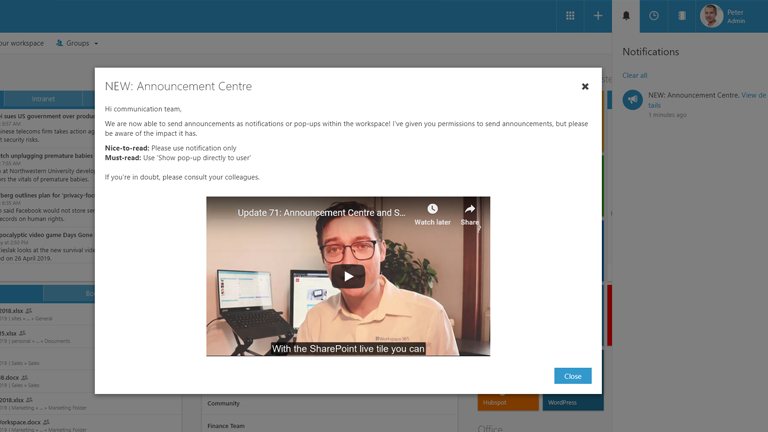 With the announcement centre, you can easily create an announcement (including text, images, videos and links) which you can push as a notification or pop-up to a specific group or the entire organisation. Furthermore, you can enable other people within your organisation to create announcements. Depending on how you set up your workspace, people visit it to open applications, documents, look up information, contacts, read the news and interact in the social feeds. Therefore, they open their workspaces many times a day. 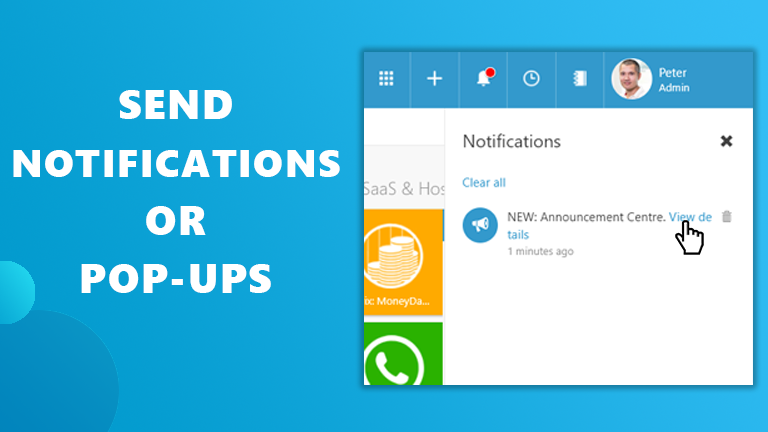 That is why people asked us to create a new way to communicate to them using the Announcement Centre. And today we are proud to launch the new Announcement Centre! In most companies, the ICT managers and (internal) Communication managers are able to use the announcement centre. ICT managers use it to communicate information about the digital workspace, updates and maintenance. (Internal) Communication managers use it to provide company news (e.g. opening of a new office location or a special celebration) to its employees or other people who use the workspace. If you want to enable other people to create announcements, login as an Admin, visit your settings, go to Groups Management, edit a group and enable “Can create and manage announcements”. While using the announcements centre we suggest using notifications for Nice-to-reads and the Pop-ups for Must-reads. Be cautious who you enable to send announcements as giving too many people control might lead to a notification overload. 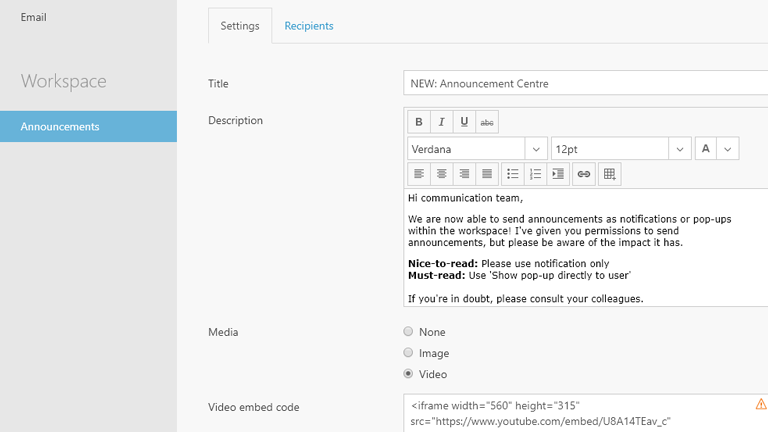 Within Workspace 365 you are able to send announcements, show news items (using RSS/SharePoint), create social feeds (using Yammer), or use Teams Chat and even display SharePoint sites (read the entire post for more info on this new feature). As this gives you a broad range of communication tools it is important to make clear choices for which communication tool you use in different situations. You are free to choose which communication tools you activate in Workspace 365 and it can adapt to each individual or group. This is something which we, or our partners, can discuss with you during the implementation. We are happy to introduce the new SharePoint live tile which shows all the team sites of the user. 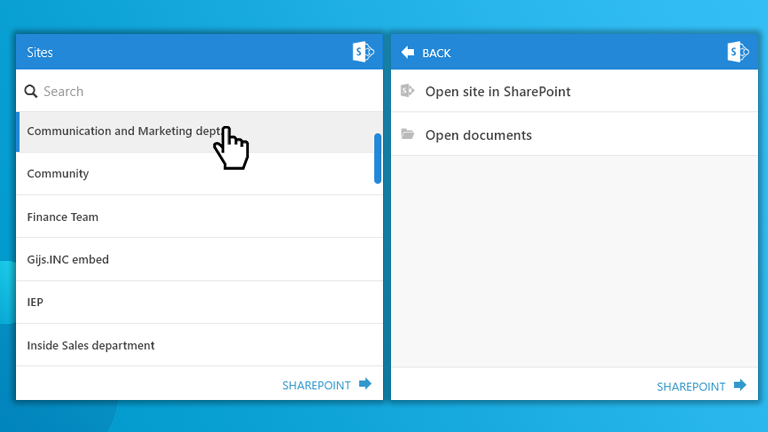 By doing this, you allow people to easily navigate to the team site (for example to watch the news or fill in a form) and to quickly navigate to the documents of a team site within the Workspace 365 Documents App. People are used to the tools and communication their company uses. That is why organisations want to have more control on the design of their workspaces. That is why we are bringing more design options in each update. With this update, we focussed on the layout. To improve the layout we are happy to introduce more tile sizes enabling you to create the perfect workspace for anyone in your organisation.